If your breath is so bad that people want to build a wall just to protect themselves from it, then you need some Trump Mints. Make your breath great again, and they’ll never have to build that wall. It will be open borders, when you’ve got Trump Mints. 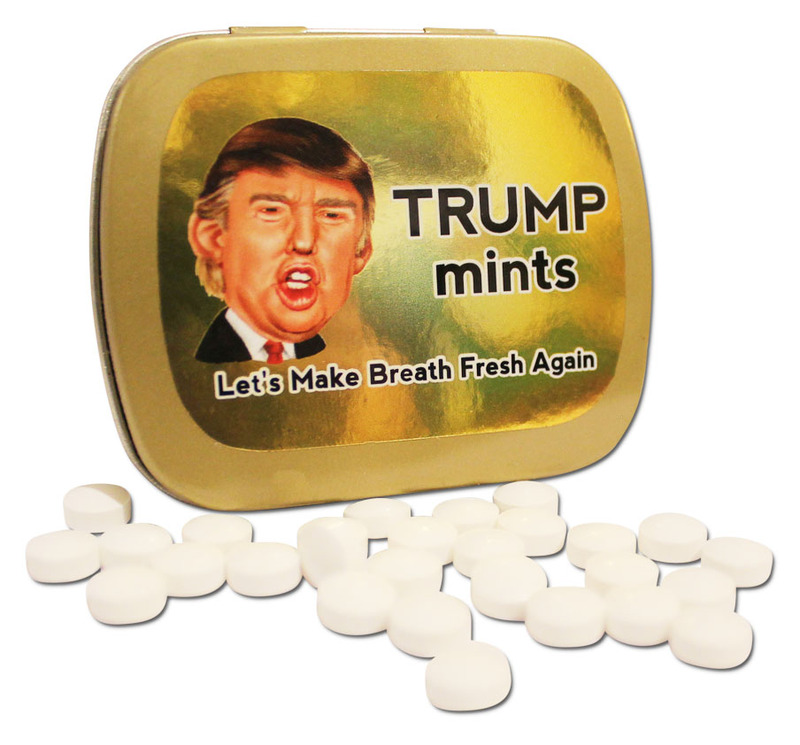 The days of the Donald are just beginning, and you can be just like him with Trump Mints. The things he says may not be so nice, but his breath is impeccable. It’s like being breathed on by a toupee-wearing angel. 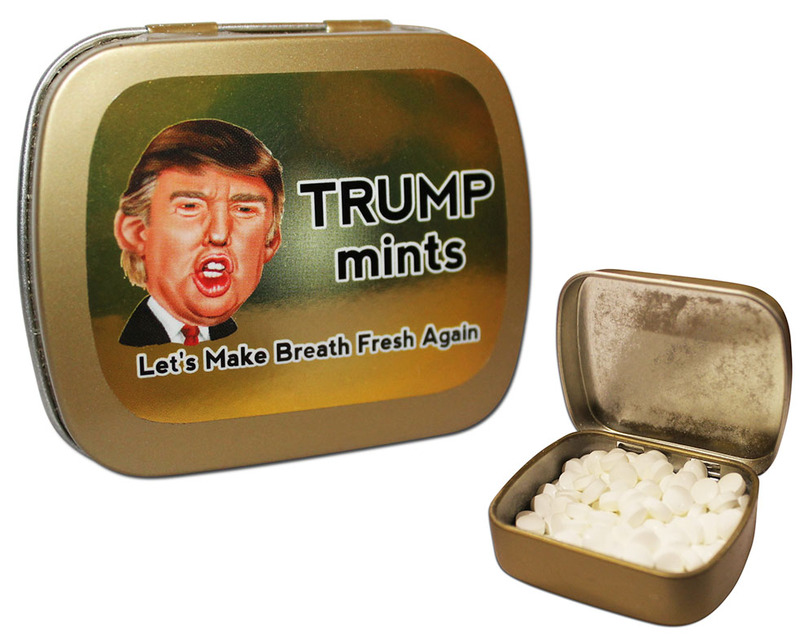 You’ll love the sweet cinnamon flavor of these Trump Mints and the feeling of being one with The Donald. Who would love Trump Mints? Anyone who’s a big fan of the Donald would love to have these signature mints in their pocket. It’s like they’re making America great again without even doing anything. You don’t have to agree with his politics to know that Donald Trump has two things going for him, an astounding head of hair and great breath. 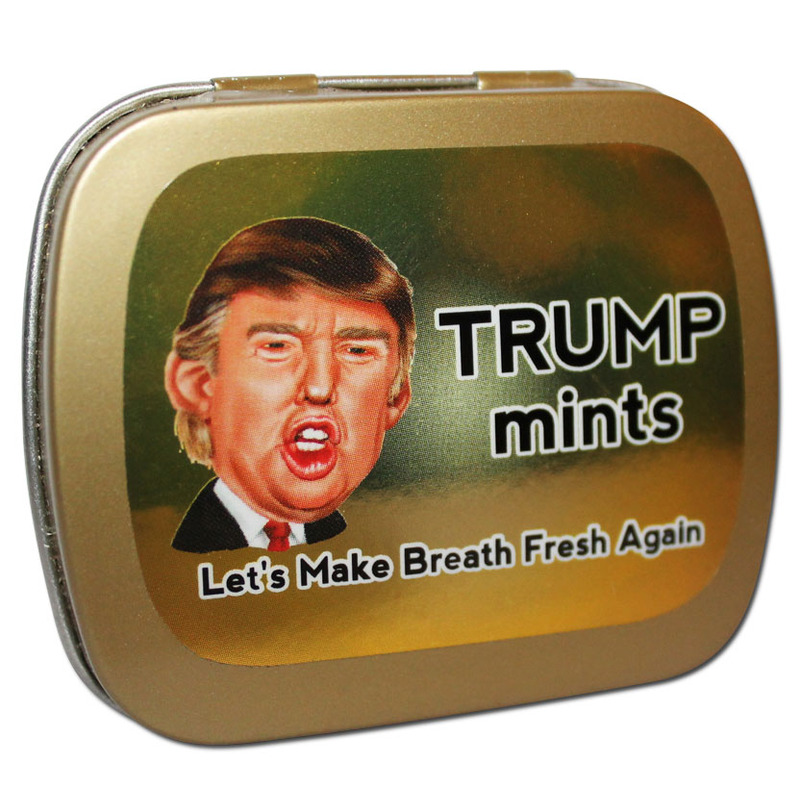 Trump Mints – Spearmint or Cinnamon? You might think with the cool things Trump is saying that the mints are spearmint, but you’d be wrong. You can’t utter the fiery things that fly out of his mouth without a little cinnamon spice. These mints are super refreshing, but will give you a little heat. I can practically smell the awesomeness now. Can I get Trump hair using these mints? These aren’t toupee seeds, friend. The good news is, sure, you can get Trump hair. Anyone can get Trump hair with a little time and a lot of money. You’d think that mop on top of his head is 100 percent natural, but there is a fleet of hairdressers, and in some cases - zookeepers, ready at a moment’s notice.